For nearly 100 years, CBT has been servicing the belting and conveyor component needs of our customers throughout the Greater Cincinnati, Northern Kentucky, Dayton, and surrounding markets. CBT has built a diverse customer base with companies representing a broad spectrum of industries. The Belting & Conveyor Components Team has more than 150 years of experience providing customers with custom solutions to some of their most difficult problems. CBT’s experience team of belting technicians is ready to help you solve your most challenging belting applications to keep your facility running smoothly. 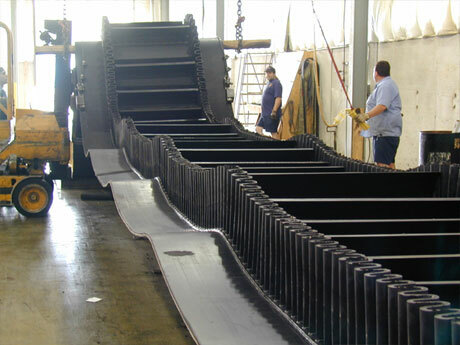 In addition to CBT’s complete line of belting products for power transmission and conveying requirements, we offer an in-house conveyor belt shop, allowing CBT the ability to service you at our facility or yours. From on-site troubleshooting and system evaluations to training, application assistance, and technical support, the belting service team is available to help you with your specific application (even in emergency situations). A certified A-rated ISN supplier, CBT’s belting service team has more than 30 years of experience installing conveyor belts with a strong background in industrial maintenance. The CBT belt service team specializes in both lightweight and heavy rubber installations and is up-to-date on the latest splicing techniques and technology for even the most stringent sanitary requirements.